(Natural News) In one of his recent podcasts, Natural News founder/editor Mike Adams, the Health Ranger, discussed the attributes and advantages of food insurance — that is, the ability to sustain yourself and your family by growing as much of your own food as possible. In fact, the Health Ranger says you may be “crazy” for not doing so. It’s hard to argue with that sentiment. The price of food in grocery stores keeps rising. Much of it is polluted with pesticides, chemicals, and genetically-modified organisms. Much of it is pre-processed, not fresh. A great deal of store-bought food is devoid of nutrients, and that includes some of the supposed “fresh foods” like fruits and vegetables, just because of the way they are grown and shipped. “Have you priced organic romaine lettuce recently? Or a pound of beef? With food prices continuing to skyrocket, the economics of growing your own food makes more sense than ever before,” said Adams, who is also the creator of FoodRising.org, home of the Mini-Farm Grow Box Version 2.0, which he also developed. The system grows fresh vegetables and herbs without soil and electricity. Adams also noted that prices for organic foods — which he, of course, recommends — are skyrocketing as well, making it even more necessary to grow your own foods. In some stores, he said, an organic red pepper may cost upwards of $3 to $4 dollars, while you can grow them yourself for about a dime apiece with little effort. “Suddenly the economics make a lot of sense,” he said. Years ago, he noted, because of the fact that food production was not nearly so commercialized as it is today, it was easier and cheaper to rely on purchasing fruits and vegetables from the local supermarket. They were usually very fresh, wholesome, and nutritious — and there were no GMOs. That, of course, has changed today, making growing your own food even more necessary (and more affordable). “When you grow your own food, you’re actually growing better than organic so you’re getting higher quality food at a lower cost than what you’re paying in the grocery store,” he said. “Even better, the much higher nutritional value of home-grown food (compared to processed factory foods you buy at the grocery store) actually saves you money on long-term health care costs. 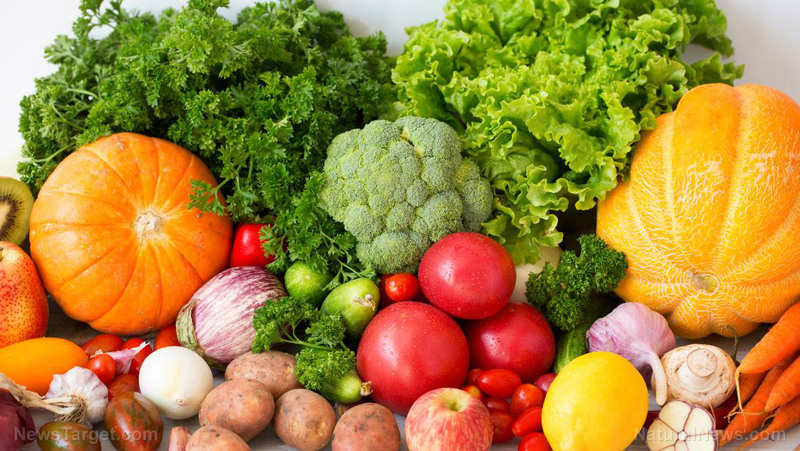 By eating your way to good health, you are eliminating your future need to buy expensive prescription medications and undergo costly doctor visits (or hospital procedures),” he said. The Health Ranger notes that by using systems like the Mini-Farm Grow Box 2.0 and growing your own garden plot, you’ll be able to save as much as a couple hundred dollars per month, especially if you’re feeding a family. “Granted, that’s going to take space and some time and some effort, but because of these breakthroughs in non-circulating hydroponics” — which is how the Mini-Farm Grow Box works — “it is easier than it has ever been to produce food on your own,” said Adams. Unlike aquaponic and normal hydroponic systems, the Grow Box works in your absence — you don’t have to spend time fussing over your veggies because they grow on their own. Even if the power grid fails. Just add sunshine. As food prices continue to climb — and are expected to go even higher — it makes sense to start growing your own. Listen below to Adams’ five reasons why you’d be crazy not to.